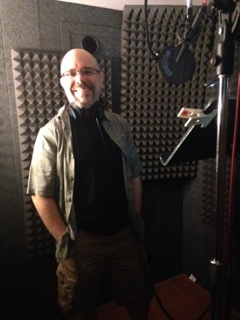 Rodolfo is a skilled Spanish VO artist, that can also deliver a fluent read in English. A great passion for playing music and working with sound drove him to developing a strong ability for using his voice in performing scripted narration by incorporating the sense of rhythm, pitch and expression. He has been polishing this skill in a professional career that spans over 20 years, voicing numerous TV and radio commercials, IVR, audio guided tours, as well as industrial and other multimedia projects. In 1999 he moved to the US to continue pursuing a voice-over career and build his own professional studio. He delivers a friendly, warm and confident sound, while also providing range and versatility for a variety of styles. This makes his voice a good fit for different market and age groups. He delivers in Spanish with Pan-Hispanic /neutral /Mexican / Latin American accent. Savvy in audio technology, as well as editing and mixing in Pro Tools. Rodolfo enjoys giving extra attention to detail in his service which helps in making projects (and clients) shine.